Cut the carrot, parsnip and turnip into dice. Chop the onions and celery. Cut the leek into fine shreds. Melt the butter in a saucepan, add the vegetables and cover pan. Fry gently, without browning, for 5 or 6 minutes, shaking the pan frequently. Pour in the stock, add the barley and salt and pepper to taste. Bring to the boil and then lower the heat, cover the pan, and simmer gently for around 1¼ hours, stirring occasionally, until the barley is soft. Ladle into 4 warm soup bowls and serve hot. 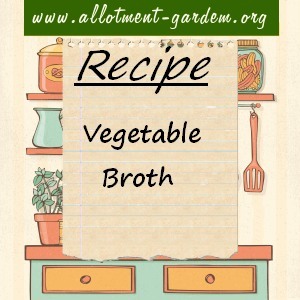 This freezable Vegetable Broth Recipe Serves 4. It is quite filling on its own but can be served with some (preferably buttered!) crusty bread to make a light lunch or tea. It is great for old guys lol kidding it great!!! !